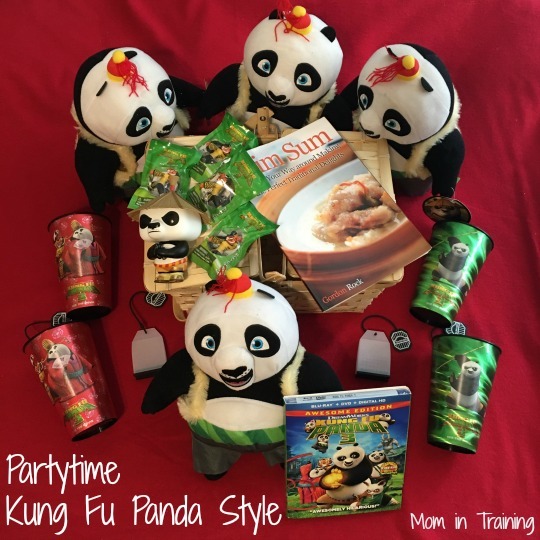 Over the long holiday weekend we had a happening party Kung Fu Panda style. I have to admit it was hard saving the movie until our family movie night. The kids had been bugging me ever since it arrived to watch it, but I made them wait. They were both thankful though because it was well worth it! We set up our kitchen table with our fun Panda themed decor and had some yummy Chinese food for dinner before watching the movie. I will confess I'm not the best cook when it comes to cuisine from other countries from scratch, but it wasn't too bad and everyone got a fully belly. It was a lot of fun talking about our favorite scenes from the first two movies. Haven't seen Kung Fu Panda 3 yet? Here's a clip so you can check out what you're missing!